Rubens Barrichello is confident that he will race with Williams next year and has hinted that a deal may already be in place. The Brazilian, who joined Williams in 2010, faced an uncertain future after the Grove-based team confirmed that Pastor Maldonado had retained his race-seat for next season but did not reveal who would race alongside him. 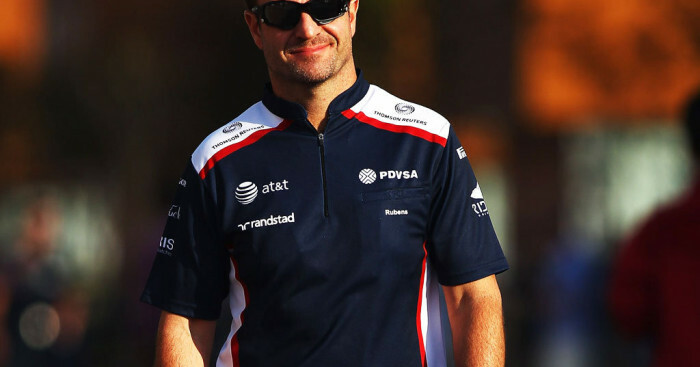 Barrichello has always insisted that he would be returning with Williams in 2012 but it is believed that he faces competition from Adrian Sutil and Bruno Senna – who were axed by Force India and Renault respectively – for the spot. However, the 39-year-old has now given a firm suggestion that he has secured his future, stating on Twitter: “Just came back from England…now some holidays…and waiting for good news from Williams”.